Was at a bit of a loose end last night, so I decided to start watching the first series of an ITV drama called “The Durrells”. It first was on TV last year I think; it’s set in the 1930s and is about a widow and her four children who get bored with life in Hampshire, and move to Corfu. Sounds a bit random, and it is quite, but it’s based on a true story and books by Gerald Durrell, and I like it. 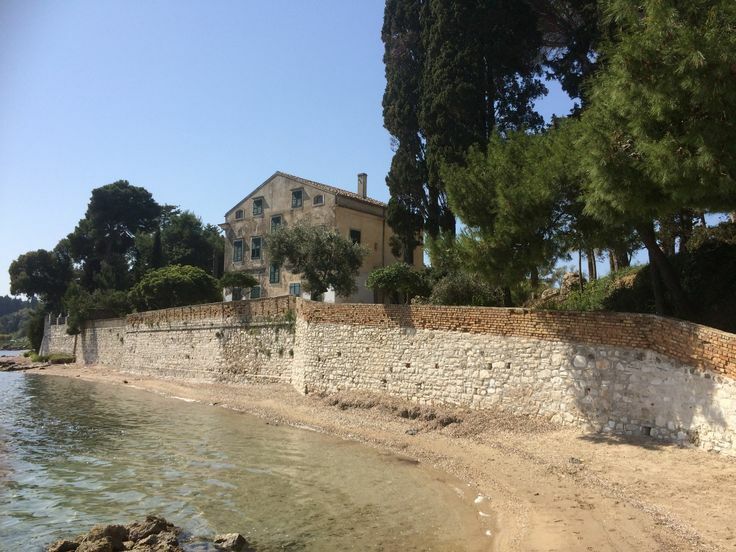 They wind up in this gorgeous dilapidated villa. Very idyllic indeed. Greece holds a special place in mine and Husband’s hearts. We’ve visited Zante, Corfu, Crete and Rhodes, and we’ve loved it every time. The islands are beautiful, the colours are inspiring, the food is delicious and the wine even better! We got engaged on holiday in our favourite place – Alykes in Zante, which even further cemented it into our story. Anyway, watching this programme has got me dealing with a serious case of wanderlust. Especially on such a grey day as today! While the emphasis in Mediterranean homes can often be on the outside, thanks to the dreamy climate, I think we can take inspiration and move this style indoors…Maybe if I can’t actually live in a Mediterranean paradise, I could at least try to make my gloomy terrace in Wales feel a bit more exotic?! These are all Farrow and Ball colours. Top row; Red Earth, Farrow’s Cream, Yellow Ground. Bottom row; Lichen, Pitch Blue, Blue Ground. I love the combination of the warm terracotta, with the mint green and brighter red accessories. Looks so luxurious! 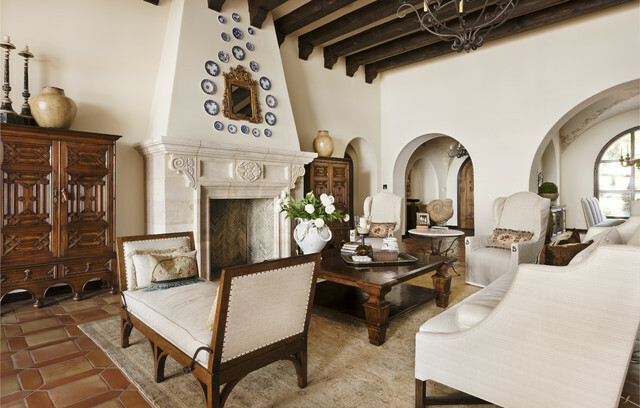 This is quite an American take on Mediterranean style, but I love the warm tiled floor and abundance of pale walls and upholstery. The blue patterned plates are a lovely feature. The classic Greek blue and white combo looks so fresh and modern in this bedroom scheme. 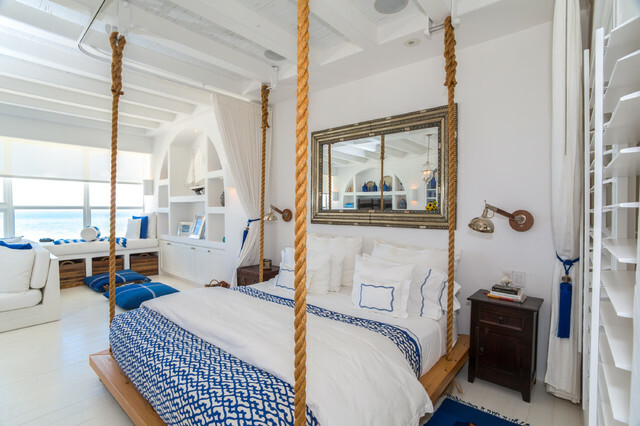 It’s got a touch of a nautical leaning which I quite like and I would be pretty happy waking up in here! This is such a gorgeous entrance. The white combined with the colourful, patterned tiles looks stunning. The intricate woodwork and plants add an exotic edge. 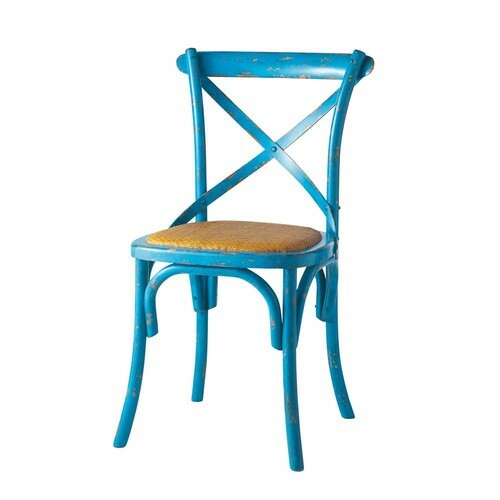 Top: Tradition chair in Blue, £94.49, Maisons Du Monde. 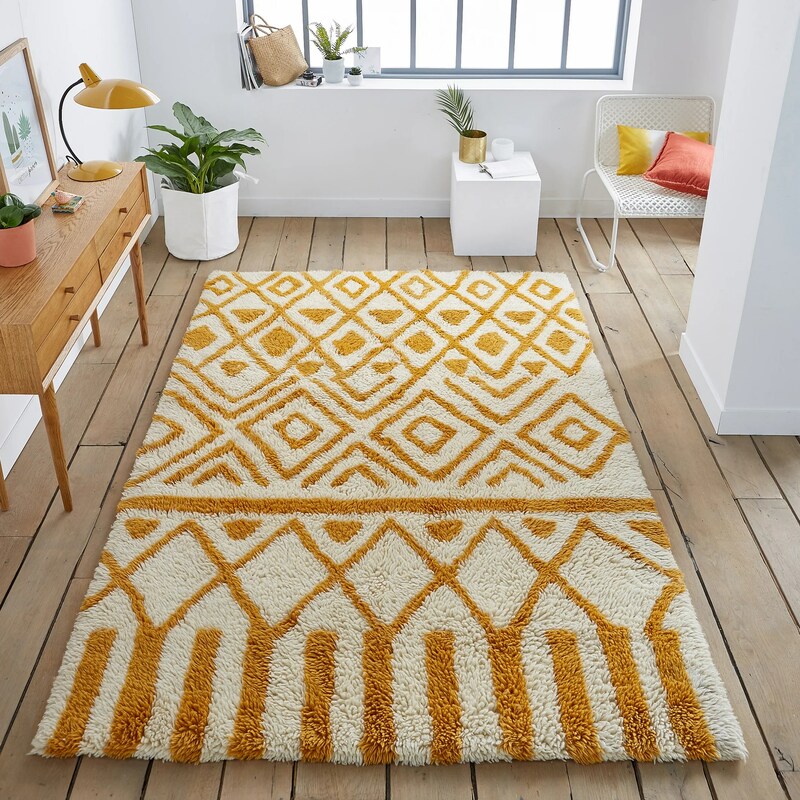 Orcul wool rug, ecru/yellow, from £199, La Redoute. Bottom: Woven Ombre cushion, £8, Matalan. Croft Collection recycled glassware range, from £5, John Lewis. This entry was posted in Inspiration and tagged character, DIY, farrow and ball, Greek Islands, holiday, Inspiration, interior design, interior trends, interiors, meditteranean, romantic, summer, wanderlust. Bookmark the permalink.